Hello, I decided to compile and upload all of the “Beaver Music” label’s extended tracks from catalogue number BFC 060, till 112 (53 tracks), since they are nowhere to be found and pretty rare. Were once available for sale, in customer CD format, on saifam’s website. Produced around 1993/95'ish-98, so these were also featured in the “Eurobeat Flash” series, some even later in Euromach. for ex. “Day By Day (Long Edit) / Debbie Key” & “You’re In Danger (Extended Version) / The Flippers” is there, but I got a transaction error. Therfor I couldn’t get them. 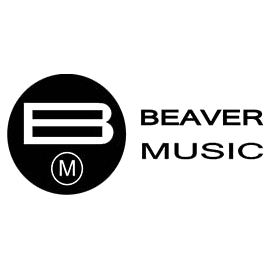 All of these Beaver Music tracks can be purchased in extended, (any version) losslessly, with a license on http://www.unleashthebeats.com for 20$ each. If anybody would like to contribute upgraded (higher audio quality) tracks in this collection, feel free to do so and post in this thread, or message the files to me and I'll update the collection in the meantime. 35. BFC 094 - Milk And Coffea - Sunshine Baby (Long Mix) - [4:58] Lossless Update! 36. BFC 095 - Carol Lee - Never Say Forever (Long Mix) - [5:29] Lossless Update! 38. BFC 097 - Knick Knack - I Know Your Game (Full Power Mix) - [6:52] Lossless Update! 39. BFC 098 - Debbie Key - Day By Day (Long Edit) - [6:01] Lossless Update! 40. BFC 099 - VIP Girls - Dirty Man (Para Mix) - [5:49] Lossless Update! Wow! thanks for sharing these Robio! This is awesome. Thanks a bunch for sharing. 5 more tracks updated to lossless --> 35; 36; 38; 39; 40. From russian bootleg release: "601 Merce'Dance"